Welcome to Future ! It’s not 1 but 8 Coming soon in 1. Bootstrap 3, HTML 5 Verified 100% and CSS3. 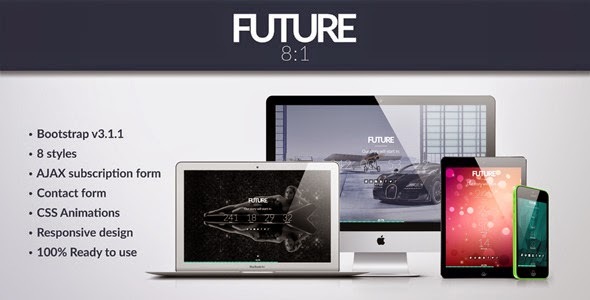 Item Reviewed: Future 8 in 1 Coming Soon Template 9 out of 10 based on 10 ratings. 9 user reviews.